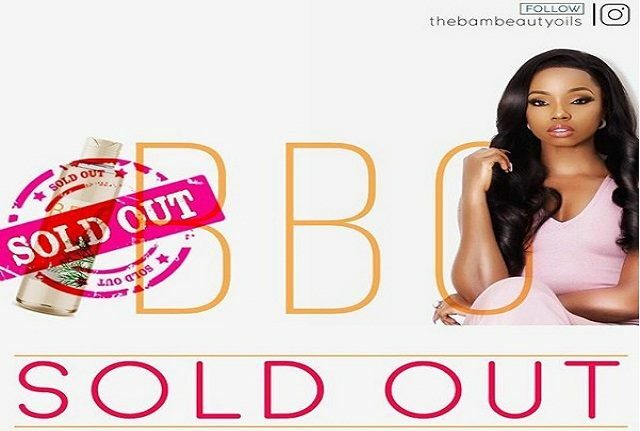 Ex-BBNaija housemate, Bamike Olawunmi, popularly called BamBam, on Monday evening launched a skin care product, “Bam beauty oil” to mark her 29th birthday and reportedly realized N25 million. The event took place in Abuja, according to what she posted on her instagram page. 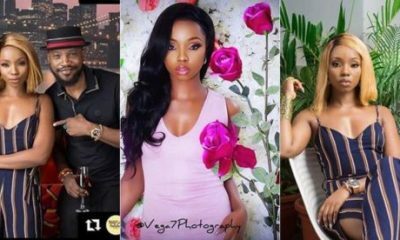 NAN reports that this happened about 24 hours after the end of the third edition of the 2018 BBNaija TV reality show titled “Double Wahala’’. BamBam was one of the housemates in the just concluded TV reality show before her eviction from the house. 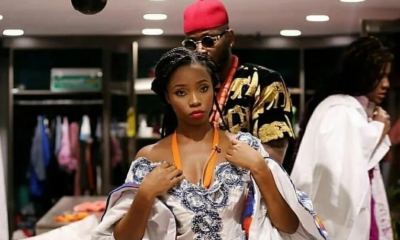 While Bambam was in the house, she was romantically involved with Teddy A who was her strategic partner. 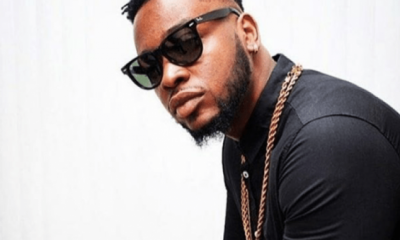 But now, the pair appeared to have taken their love to another level, as Teddy A, organised a surprise birthday party for her. 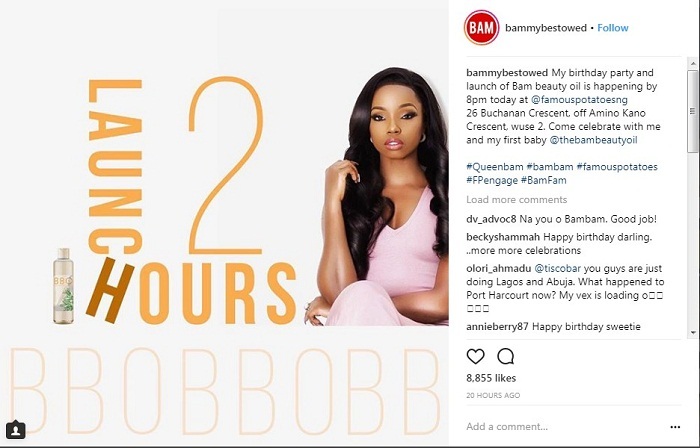 While Bam Bam enjoys the benefits of being a part of the third edition of the 2018 BBNaija TV reality, her colleague, Cynthia Nwadiora, better known as Cee-C, was at the receiving end of fame. It was gathered that Cee-C, who emerged as the first runner up of the show, was physically assaulted when she landed the Murtala Mohammed International Airport yesterday.